In place of french-fried potatoes, carrots make a sweet, earthy side that's rich in beta carotene. 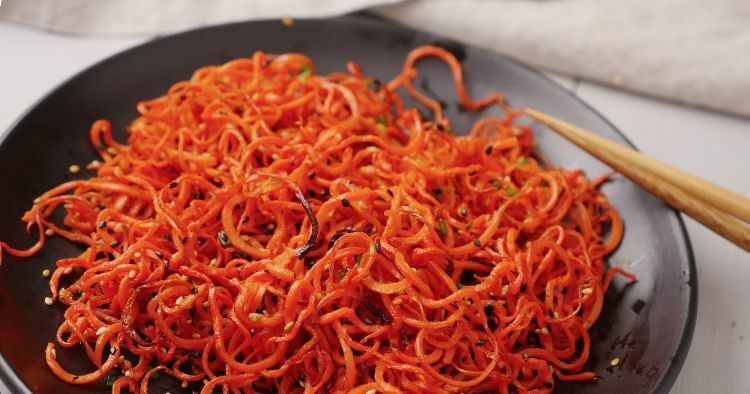 Use a spiralizer to achieve the perfect shoestring shape. While you could easily make plain carrot fries, a drizzle of sesame oil plus some white and black sesame seeds make these french fries stand out. Serve them with seared tuna or steak for a delicious meal. 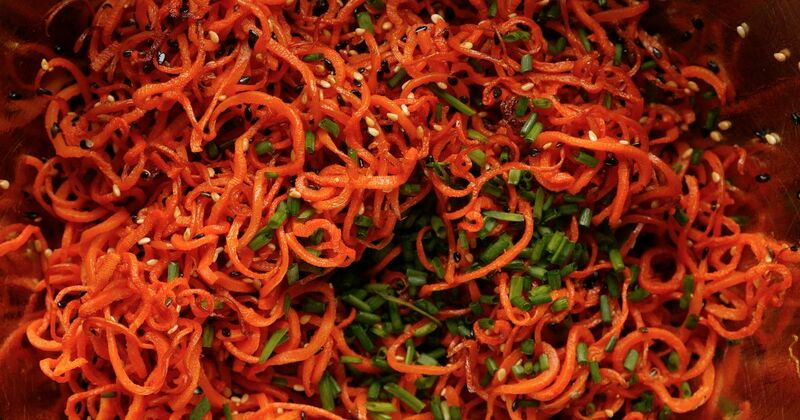 Toss the spiralized carrots with the vegetable oil and fleur de sel. Arrange in an even layer on a baking sheet, and roast for 40 minutes, tossing two to three times to ensure even browning. Remove from the oven, and toss with the sesame oil and both black and white sesame seeds. Sprinkle with chives just before serving.